For more information about the 2018 SAFETY4SEA Awards, please click here. The 2018 SAFETY4SEA Conference successfully concluded on Wednesday 3rd of October, in Eugenides Foundation, Athens, attracting 700 delegates representing a total of 340 organizations. For more information about the 2018 SAFETY4SEA Awards which took place one night ahead of the conference please click here. Chris Adams, Director, Head of European Syndicate and Loss Prevention, Steamship Mutual – Ships and Risk – Can Insurers Sleep Well? 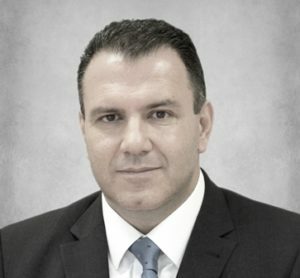 Apostolos Belokas is a Maritime Safety, Quality & Environmental Expert, Consultant, Trainer and Project Manager with more than 20 year background in shipping as Technical, Marine, Safety & Training Superintendent and Consultant. He entered the industry back in 1992 as Engineering Superintendent with a leading ship manager operating a mixed fleet of bulk and oil/chemical tankers and later shifted to regulatory compliance and QHSE issues as superintendent and later as a Consultant and Trainer. Apostolos has successfully completed a wide range of QHSE projects including 250+ management system projects (ISM/ISO 9001-14001-18001/TMSA/MLC), 500 vessel and office audits to various standards and he has trained more than 5,000 people in a wide variety of QHSE subjects. He is holding Mechanical Engineering Bachelor and Master’s specialising in Energy & Environment and Master’s Degrees in Maritime Business and Business Administration (MBA), all of them awarded with distinction. Apostolos is the Managing Director of SQE MARINE & SQE ACADEMY and he is also the Founder and Managing Editor of SAFETY4SEA. Carleen Lyden Walker is the Co-Founder and Executive Director of NAMEPA (North American Marine Environment Protection Association) leveraging off her experience as a marketing and communications professional in the commercial maritime industry with over 40 years of experience. She specializes in identifying, developing and implementing strategic marketing and communications programs that increase the visibility and effectiveness of NAMEPA as well as the development of educational resources promoting marine environment protection. She works to develop strategic alliances between industry, regulators, conservation groups and educators to “Save the Seas”. In 2015, Ms. Lyden Walker was appointed as Maritime Ambassador by the International Maritime Organization (IMO). She is a member of WISTA (Women’s International Shipping and Trading Association), the Connecticut Maritime Association, INTERTANKO, The National Press Club, WIMAC (Women in Maritime Association, Caribbean) and is a Past-President of the Propeller Club Chapter of the Port of NY/NJ. She was also elected to the Board of Trustees of the Coast Guard Foundation, Tall Ships America Foundation, Billion Oyster Foundation, American Caribbean Maritime Foundation and the New Era Academy Transportation Technologies Program in Baltimore. She sits on the Board of Gibbs & Cox. 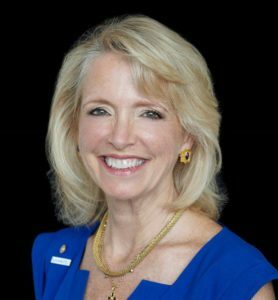 Ms. Lyden Walker is also Chief Executive Officer of Morgan Marketing & Communications, is Chief Evolution Officer of SHIPPINGInsight, and the Founder of the Consortium for International Maritime Heritage. In 2010, she was awarded the Certificate of Merit by the United States Coast Guard and in 2014 a Public Service Commendation for her work on World Maritime Day and AMVER, respectively. She held a USCG Captain’s license. J.A.A.J. (Jan) Fransen, born 19 March 1958 in The Netherlands, always has been interested in shipping. So logically he chose for a career at sea and served in the Dutch merchant navy as a Deck Officer for about 12 years. In the eighties, he became involved with Vessel Traffic Management systems with the Dutch Ministry of Transport and finally with the Port of Rotterdam. From his position as Traffic Manager and Casualty Officer with the Port of Rotterdam, Jan became acquainted with the ISO 9000 and 14000 systems, ISM and ISRS (International Safety Rating System) as well as auditing these systems. There he became involved with the set-up of the Green Award Scheme and was employed by the Green Award Foundation. He started at Green Award in the early nineties when he served the Foundation as a Certification Manager. From 2001 he took on the position of Deputy Managing Director and in April 2005 he was appointed the Managing Director (later changed to Executive Director). Jan Fransen is active in a number of maritime organisations and associations and currently chairs Equasis Editorial Board. Jan can be seen as the ‘expedition leader’ of Green Award. He visits ports and port authorities, embassies, ministries and certificate holders in order to inform them about the Green Award Foundation and establish relations. In the opinion of Jan Fransen, schemes like Green Award contribute to motivation and differentiation in Quality Shipping. The market mechanism created by Green Award will result in a preference for Quality Tonnage on the charter market and elimination of substandard tonnage. 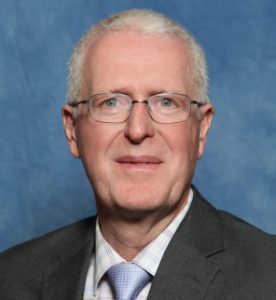 Peter Broadhurst is Senior Vice President of Safety and Security at Inmarsat Maritime, responsible for the development of the company’s safety and security services. Peter will define the strategy, development and evolution of Inmarsat’s satellite communication services for maritime safety, navigation, safety of life at sea and data security. 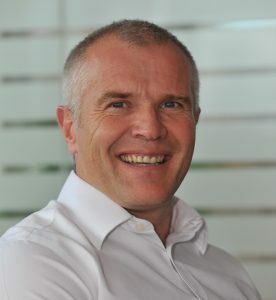 Peter started his career at Inmarsat in 2014 as Vice President of Service Delivery for the Maritime business unit, where he was responsible for leading the development of products and services from conception and implementation, through to launch and life cycle management. Peter was instrumental in the launch of Inmarsat’s high-speed broadband service Fleet Xpress launched in March 2016. With over 25 years’ experience in the maritime industry, Peter began his career at sea as a Radio Officer, before running his own business and working for a maritime distributor. Peter then spent 15 years with Sea Tel Inc., / Cobham SATCOM as Vice President of Sales and Marketing where he was responsible for overseeing and managing global sales, support, marketing, training and product management. Peter has a HND Electronics, Marine Radio General Certificate, Radar and Marine Navigation Aids accreditation from Wray Castle Merchant Navy School, and holds an Open University, BSc (Hons) First Class degree on Radio Frequency Systems. 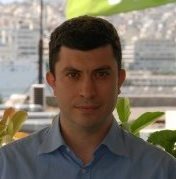 George Dimopoulos is Principal Research Engineer at DNV GL. His field of expertise is the modelling and optimization of complex ship machinery systems. He is a Naval Architect & Marine Engineer, holding a PhD in Marine Engineering from NTUA. 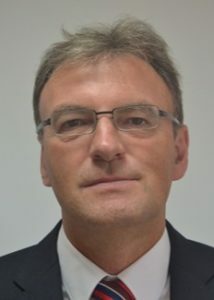 His professional experience, both in the academia and in DNVGL’s R&D units, is in the application of computer and process modelling techniques and advanced thermodynamic analysis methodologies in order to optimize ship systems for improved performance, safety, fuel savings, emissions reductions and cost-effectiveness. He is lead researcher or project manager in various R&D and commercial projects fusing forefront research methods and new technologies with the modern shipping industry environment. As a researcher, he has authored or co-authored more than 30 peer-reviewed papers in scientific conferences and journals. Dr. Moore is the Global Loss Prevention Director at Shipowners Claims Bureau, Inc., managers of the American Club. In that capacity, he brings 21 years of experience to the development and implementation of the Club’s loss prevention initiatives to assist shipowners in the reduction of maritime risks and incidents. He formerly worked at ABS in New York and Gard Services in Norway. 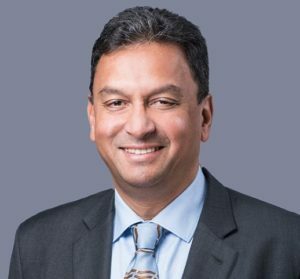 He acquired his doctorate degree at the University of California at Berkeley in Naval Architecture & Offshore Engineering and is also a graduate of Ocean Systems Management at the Massachusetts Institute of Technology. Dr. Moore is also formerly the Chairman of the IMO’s Joint Maritime Safety Committee & Marine Environmental Protection Committee’s working group on the Human Element. Captain Hans Hederström is the Managing Director of CSMART, Center for Simulator Maritime Training. It is the international maritime training center of the world’s largest cruise company, Carnival Corporation & plc Group with the aim to train 7,000 Carnival deck and engineering officers per year. Captain Hederström brings 50 years of maritime experience to CSMART. He holds a Master Mariners (class 1) license, a Marine Engineers Certificate from the Marine College in Gothenburg, Sweden and has sailed in all ranks up to and including Master. In 2008 he was hired by P&O Princess Cruises to build the first CSMART facility in the Netherlands. This first training center started the Bridge and Engine simulators for operation in July 2009 with Captain Hederström as the Managing Director. In July 2016, Carnival Corporation expanded its training operations with the opening of the Arison Maritime Center, featuring CSMART Academy and CSMART Hotel. 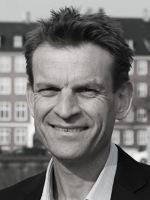 Erik Green is one of the founders of Green-Jakobsen A/S, founded in 2001. He graduated as a Naval Architect in 1990 and has a Master’s degree in organisational learning and development. Within the maritime segment Erik’s expertise mostly relates to the development of corporate and individual safety culture (competencies), marine HR and leadership development. As a strategic business consultant with more than 20 years of experience, Erik is specialised in helping companies develop both at a strategic, tactical and operational level. His professional competence covers marine HR and safety projects involving both employees and employers. He is an experienced project manager, subject matter expert, strategic executive coach and strategic business consultant. 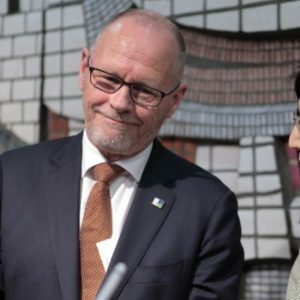 Furthermore, Erik is continuously engaged in the development of Green-Jakobsen’s own leadership training concept, and safety maturity development concept and methods. Capt. Nicolo S. Terrei, Managing Director, RINA Academy Philippines, Inc.
Capt. Nicolo Terrei is a licensed and experienced Mariner and has sailed for over 24 years onboard various dry and liquid cargo vessel types. His first encounter with Filipino seafarers was on 1994 when he was assigned as Superintendent for COECLERICI Group assisting all vessels for certification under the International Safety Management (ISM) Code. In 1998, he was designated as Director for COECLERICI (CC) Group Manning Agency in Manila, Philippines responsible for the monitoring and control of performance of crew onboard. During the same assignment, he spearheaded the surveillance of construction and start-up of transhipper for dry cargo dedicated for lightering in Persian Gulf. He has since developed his dedication and passion in the promotion of Filipino seafarers onboard international sea-going vessels. He established Elburg Shipmanagement in 2005, that is among the 20 leading recruitment agencies in the Philippines at present. In his vision to bring the Filipinos in the forefront of the global seafaring industry, he led the conceptualization and establishment of RINA Academy Philippines, Inc. in 2007 together with the Registro Italiano Navale (RINA) and CONFITARMA which is the Italian Shipowner’s Association and has since became a counterpart of the Italian Shipwoners, Philippine government and of the Union in the development of Programs dedicated to the career and competence development of Filipinos. 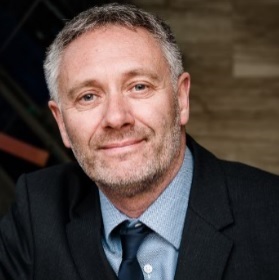 Dr Phil Sharples has been Senior Medical Director at UnitedHealthcare Global Medical since 2006 and is responsible for the clinical care delivery to UnitedHealthcare Global Medical clients. Phil is responsible for healthcare governance and clinical excellence working closely with other clinical functions in UnitedHealthcare Global in order to deliver quality healthcare solutions to clients. He has demonstrated the ability to facilitate and manage numerous projects whilst maintaining excellent client and colleague relationships. Prior to joining UnitedHealthcare Global, Phil worked internationally for a substantial part of his professional career. 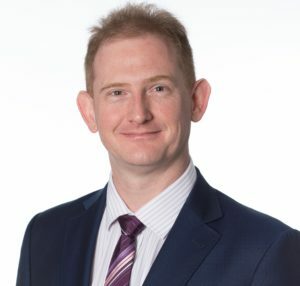 Philip trained as a General Practitioner in the British Army serving abroad in Germany and Hong Kong, then spent eight years as a senior partner in a NHS General Practice in London furthering his interest in Occupational Health and Travel Medicine. Phil then gained valuable oil and gas industry experience as part of the international medical team for Chevron and through his work for Chevron as a Medical Director in Nigeria and Kazakhstan before joining UnitedHealthcare Global . 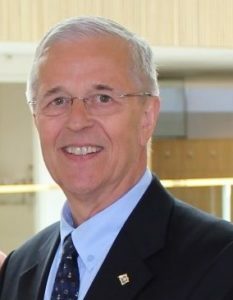 Phil has a proactive involvement in the business development of the company and is a member of the International Association of Oil & Gas producers / The International Petroleum Industry Environmental Conservation Association Health Sub Committee and has helped to define industry health guidelines. Phil is also a member of the Institute of Remote Healthcare and as a keen interest in professional development and works in close liaison with colleagues to improve professional training standards. Phil is a graduate of the University of London. Elias Psyllos is the Vice President of the Commercial and Risk Management Department of T&T Salvage based in Houston Texas. He is responsible for commercial, legal, and technical support to daily global company operations. He supports business development and client relationship management activities. He also oversees internal insurance and risk management matters to include policy management and claims reporting and acts as Project Manager on company operations. Prior experience includes 15 years as a Risk Manager for a London-Greek Shipowning Group. He was overall responsible for the Group’s Marine Insurance and claims. For 4 years he served as a member of the Group’s Marine Operations Team, actively involved in the management of Oil Tanker and Bulk Carrier fleets. Rod is a Master Mariner and has degrees in, Nautical Studies, Law and an MBA. After 11 years at sea, mainly on bulk carriers, Rod worked as a cargo superintendent for a short while before joining the Sunderland P&I Club in 1987 and then Thomas Miller/The UK P&I Club in 1991. Rod became a Syndicate Manager with Thomas Miller in 1995 and he managed several different Syndicates, including Thomas Miller (Hellas) Ltd from 2008 to 2014, providing claims handling and advisory services to UK P&I and UK Defence Club Members. Rod returned from Greece to London in 2014 to become the joint Managing Director of Thomas Miller War Risk Services Limited the consultants to the Managers of the Hellenic Mutual War Risks Association (Bermuda) Limited and in April 2016, in addition to keeping his war role, Rod moved to the Isle of Man and recently became Chairman of Thomas Miller (Isle of Man) Limited. George Gaïtas is the managing partner of the law firm GAΪTAS, KENNEDY & CHALOS, P.C. which is based in Houston, Texas and has maritime law as its sole area of practice, and more specifically, shipping law, in the broader commercial sense of this term. Advising and representing shipowners in matters of marine regulatory compliance is also part of the firm’s work. The client base of GAΪTAS, KENNEDY & CHALOS includes several Greek vessel owners. George was born in Greece and pursued all of his university studies in the United States. In the field of maritime law, he completed his studies at Tulane University School of Law from where he received his LL.M. in 1977. 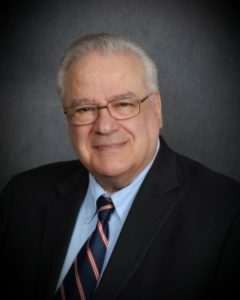 Of his 40 years of practice of maritime law, he has spent more than one half of these working in Greece as counsel of shipping companies, and the rest in the U.S.A. in private practice in the field of his specialization. 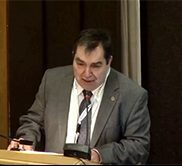 Dr Kokarakis a 1979 graduate of National Technical University of Athens, holds PhD (1986) and Masters degrees in Naval Architecture (1983) and Mechanical Engineering (1984) from the University of Michigan. He worked for over ten years as a consultant undertaking technical problems worldwide. His specialization was in the area of technical investigation of marine accidents. In his capacity as a forensic engineer he participated in the technical investigation of the Exxon Valdez grounding, the Space Shuttle Challenger disaster, the drillship Sea-Crest capsize, the Piper Alpha fire and explosion, the Aleutian Enterprise foundering in Alaska as well as many other accidents of less notoriety. The last twenty years he works in Greece, in the area of classification. He is today the Technical Director of Bureau Veritas in the Hellenic and Black Sea & Zone, responsible for the smooth technical operation in the Zone as well as in the harmonic cooperation with the BV offices worldwide to the benefit of the BV clients. He is a member of SNAME since 1976 and a Fellow of the Society. He served in various capacities, being currently the Chairman of the Greek Section since 2014. Chris Adams served at sea as a navigating officer with Ellerman City Liners of London. He holds a degree in Nautical Studies from the University of Southampton and joined The Steamship Mutual Underwriting Association Limited as a claims executive in 1979, initially specialising in handling collision and other admiralty incidents. 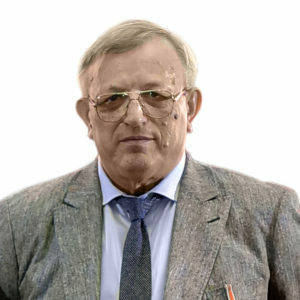 He has been a partner of Steamship Mutual’s management company since 1998 and is Head of the Club’s European Syndicate and Head of Loss Prevention. In the latter role he has conceived and developed the Club’s series of loss prevention DVDs which include programmes on Collision Avoidance, Groundings, Crew Health, Cyber Security, and Piracy; the latter winning the Seatrade Award in the Safety at Sea Category. In addition, in over 20 years of cooperation with Videotel, more than 90 onboard safety training programmes have been jointly produced, the content of which greatly benefit from the Club’s claims experience. He is a Fellow of the Nautical Institute, Younger Brother of Trinity House, Member of the Royal Institute of Navigation, Liveryman of the Worshipful Company of Shipwrights, Freeman of the City of London and Chairman of the International Group’s Pilotage Sub-Committee. 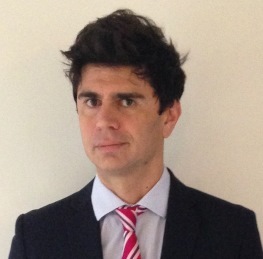 Stamatis Fradelos is Director in ABS’ Business Development team. The Business Development team is responsible for formulating and implementing business development strategies to help ABS meet its strategic objectives and providing insight into future business initiatives and market drivers for inclusion in local and corporate business plans. Stamatis represents ABS on the IACS Environmental Panel. 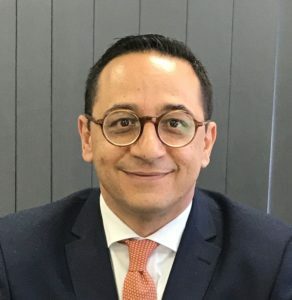 Prior to joining ABS, Stamatis worked as a marine field surveyor for five years at the Hellenic Register of Shipping and spent six years at Lloyd’s Register as a Plan Approval Surveyor. Stamatis has a M.Sc. in Mechanical Engineering, a M.Sc. in Marine Technology and Science and a M.Sc. in Engineering – Economic Systems. Colin is the Director of Loss Prevention at North P&I Club, one of the world’s leading mutual marine insurers providing P&I, FD&D, war risks and ancillary insurance. North’s highly regarded loss prevention team of skilled and experienced ex-mariners provides high quality information and real-time support to help North’s members improve their operational efficiency and effectiveness. Colin is particularly interested in the use of data and technology to enhance shipboard operational safety and in safety culture. Prior to joining North in 2006 Colin served at sea and worked in maritime education. 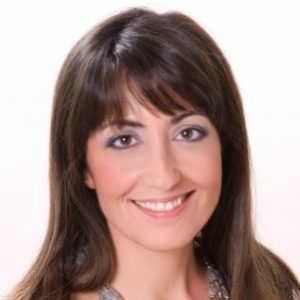 Katerina Skourtanioti is one of the founders and the Managing Director of VENLYS Maritime Specialisation Services. She began as a Strategic Communication and Crisis Management expert in the Maritime and Oil and Gas industries and a trainer globally for Media Handling, Crisis Communication, Leadership and Internal Communication. She is a graduated from Athens University of Economics and Business Administration and she continued her studies abroad. She holds an MBA and she has also a master in Human Recourses Management. As a strategic business consultant, she has more than 10 years of experience in the maritime industry with special focus on Human Element and Non Technical Skills, and safety culture strategies. Member of the Women’s International Shipping and Trading Association (WISTA). Additional she is a member of The International Propeller Club of the United States, International Port of Piraeus. Katerina is committed to the implementation of safety intelligence in the maritime industry and the enhancement of the safety concept. Yves Vandenborn is a master mariner and sailed with Exmar Nv. Belgium on chemical/product, LNG and LPG tankers. Since coming ashore in 2003, Yves has worked as a marine superintendent with a Singapore/Indonesian shipowner. He set up the ISM system and assisted the company in obtaining TMSA level 2 rating and Oil Major approval for the fleet. Yves worked as an independent marine surveyor from 2006 until 2010 undertaking numerous P&I condition surveys, oil major SIRE pre-vettings, TMSA audits, pre-purchase surveys, bulk carrier hatch cover ultra-sonic tests, etc. Yves joined Charles Taylor in February 2010 as an in-house marine surveyor for the Singapore office of The Standard Club. 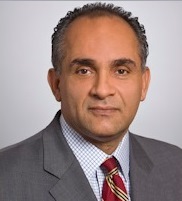 In July 2013 he took over as Director of Loss Prevention for The Standard Club. As the director he is responsible for the risk assessment programme for the club’s membership worldwide. He is further responsible for the loss prevention initiatives, the club’s loss prevention publications and technical advice to the membership, as well as to the underwriting and claims departments. 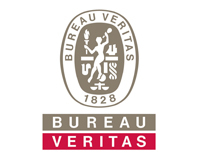 Bureau Veritas is a world leader in classification, certification, laboratory testing & inspection services. Established in 1828, the Group nowadays employees more than 66,500 people in about 1,400 offices and laboratories worldwide, assisting its 400,000 clients to improve their performance by offering innovative services in order to ensure that their assets, products, infrastructure and processes meet applicable standards and regulations in terms of quality, health and safety, environmental protection and social responsibility, both land based and off-shore, with a coherentNetwork of 2,600 highly qualified marine experts, specialized in safety, security & environmental protection related rules and standards, which operates in 180 survey stations covering 90 countries. MacGregor is a family of innovators. By offering engineering solutions and services for handling marine cargoes and offshore loads we make the sea more accessible, safe and reliable for those whose livelihood depends on the changing conditions of the sea. To enable that we have a variety of strong product brands and committed experts with a passion for solving challenges – and the power of the sea is sure to provide those. SQE Marine is a leading provider of Safety, Quality and Environmental Solutions providing Consulting, Training and Information products in these areas. We have been successfully providing a product and service range to more than 1,200 clients (based in 75+ countries) over the last 20 years, operating a DNVGL Certified Training Center and a LR ISO 9001 certified management system. Strong enough to provide immediate response and feedback to all client queries and needs, we provide a range of competitively priced services and timeliness for product / service delivery; we provide foolproof products and services to ensure full after sales support for as long as necessary. Last but not least, technical competence is the core of our management system & operations. From our modest beginnings, UMAR – WSR has evolved from strength to strength throughout the first decade of our existence, with an expanding series of acclaimed principles and a parade of dry docks to match our outstanding service performance. In 2008 we were rewarded with the OEB Innovation Award by the Cyprus Employers and Industrialists Federation, in recognition of our Online Information System (U.O.L.I.S. ), which enables continuous project handling information to our customers.If we had a mission statement in those days, it could not have been expressed more eloquently than, “To offer a level of service and commitment to their clients, without compromise”. These words are just as relevant today as they continue to reflect our beliefs, actions and ambitions for the future. Located in Limassol, Cyprus, UMAR – WSR maintains its dedication to offering premium quality maritime products and services to professionals anywhere and at any time, globally. American Steamship Owners Mutual Protection and Indemnity Association, Inc. (the American Club) was established in New York in 1917. It is the only mutual Protection and Indemnity Club domiciled in the United States – indeed, in the entire Americas. The Club is a member of the International Group of P&I Clubs, a collective of thirteen mutuals which together provide Protection and Indemnity insurance for some 90% of all world shipping. Protection and Indemnity insurance (commonly referred to as “P&I”) provides cover to shipowners and charterers against third-party liabilities encountered in their commercial operations. Responsibility for damage to cargo, for pollution, for the death, injury or illness of passengers or crew and for damage to docks and other installations are examples of typical exposures. 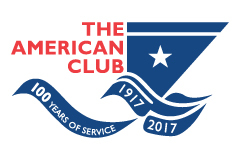 Running in parallel with a ship’s hull and machinery cover, traditional P&I such as that offered by the American Club distinguishes itself from ordinary forms of marine insurance by being based on the not-for-profit principle of mutuality where Members of the Club are both the insurers and the assureds. ARCADIA Shipmanagement provides safe and reliable transportation of oil by sea, through a modern fleet, setting top objectives for Safety, Quality and Environmental protection. To achieve these, Arcadia is dedicated to develop and sustain a strong working relationship with all parties involved in International oil trade, based upon mutual trust and reliability. Safety is enhanced by establishing a risk assessment system for hazard identification, risk management and control, adressing guidance for the prevention of errors, hazardous situations and incidents, through reporting and investigation procedures and providing training of personnel at Company’s in-house maritime training centre and by attending externally provided courses. Quality is maintained by undertaking auditing and evaluation process, with commitment towards the continual improvement of HSQE performance, through setting and measuring various Key Performance Indicators, analysing N/C reports, reviewing findings from internal audits ashore and onboard. The Environment is protected by preserving and whenever possible, further reducing the burden on the environment by setting and achieving tougher voluntary standards, such as Green Award. Moreover, by aiming for the reduction of identified environmental impacts of Company activities to air, sea and land, to the possible extend and seeking to conserve energy and materials, through recycling and waste reduction programs. Blue Planet manages 14 modern bulk carriers: one Post-Panamax, six Kamsarmax, three Ultramax and four Supramax vessels. Blue Planet combines traditional Greek shipping values along with an innovative spirit. The Company is committed to protecting the environment and putting its sustainability policies into action. Blue Planet Shipping recently became the first company worldwide to manage a bulk carrier equipped with a Flettner Rotor System for Wind Assisted Ship Propulsion. Established in 1855, Britannia was the first P&I Club in the market and remains a leader in the International Group of P&I Clubs. It has held its prominent position by focusing on providing an exceptional standard of service for the benefit of its members based on the essential values and principals of mutuality combined with commercial strength. Capital Ship Management Corp. (‘Capital’) is a distinguished oceangoing vessel operator, offering comprehensive services in every aspect of ship management, currently operating a fleet of 55 vessels including 41 tankers (6 VLCCs, 5 Suezmaxes, 2 Aframax, 27 MR/Handy product tankers and 1 small tanker), 4 modern Capesize bulk carriers and 10 container carriers with a total dwt of 5.70 million tons approx. Capital is a a subsidiary of Capital Maritime & Trading Corp. The fleet under management includes the vessels of Nasdaq-listed Capital Product Partners L.P.
Consolidated Marine Management Inc. (CMM), a company of Latsco Shipping Ltd., has been established in 1997 and is located at Kifisia. 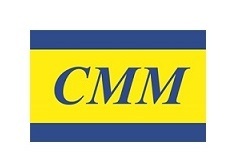 CMM provides with operational, technical, financial and ship building services, focusing on fundamental principles of quality, integrity, safety, health, environmental protection and energy efficiency, with established programmes for performance excellence, profitability and growth of management of clean energy transportation vessels. CMM pursues all entrepreneurial ventures with ethics, integrity, consistency to incident-free operations and ultimate aspiration of providing excellent services through long-lasting customer relationships. CMM’s history begins over half a century ago as part of Latsis Companies’ Group having the 8,750 dwt M/T “SPIROS” as the first vessel under its management. Within 60’s and 70’s, fleet expanded significantly through adopting numerous vessels (tankers and other types), numbering about 60 vessels with the majority of them trading under “PETROLA” name. In 1982, fleet’s technical manager was renamed “BILINDER MARINE CORPORATION SA” and its management and expansion of approximately 90 vessels (various sizes/types) totalling 3.5 mil dwt began. Central position in fleet was occupied by 6 ULCCs including the “HELLAS FOS” (largest ever built ULCC with total carrying capacity of 555,000 dwt). Currently, CMM manages a fleet of 15 vessels (MRs, LR2, VLGCs), while another 9 vessels shall be delivered up to 2018. Driven by our purpose of safeguarding life, property and the environment, DNV GL enables organizations to advance the safety and sustainability of their business. We provide classification and technical assurance along with software and independent expert advisory services to the maritime, oil and gas, and energy industries. We also provide certification services to customers across a wide range of industries. Combining leading technical and operational expertise, risk methodology and in-depth industry knowledge, we empower our customers’ decisions and actions with trust and confidence. We continuously invest in research and collaborative innovation to provide customers and society with operational and technological foresight. With our origins stretching back to 1864, our reach today is global. Operating in more than 100 countries, our 16,000 professionals are dedicated to helping customers make the world safer, smarter and greener. 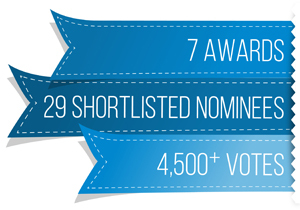 DNV GL is the world’s leading classification society and a recognized advisor for the maritime industry. We enhance safety, quality, energy efficiency and environmental performance of the global shipping industry – across all vessel types and offshore structures. We invest heavily in research and development to find solutions, together with the industry, that address strategic, operational or regulatory challenges. Dorian LPG is a pure-play LPG shipping company and a leading owner and operator of modern VLGCs. Dorian LPG currently has four modern VLGCs and one pressurized LPG vessel on the water. Dorian LPG has 18 ECO VLGC newbuildings due for delivery in 2014, 2015 and 2016 from HHI and Daewoo Shipping and Marine Engineering Ltd., including the 13 that it acquired from Scorpio Tankers. Dorian LPG has offices in Connecticut, London, and Piraeus.Dorian LPG is incorporated in the Republic of The Marshall Islands. Founded in 1978 and headquartered in Wilsonville, Oregon, FLIR Systems is a world-leading maker of sensor systems that enhance perception and heighten awareness, helping to save lives, improve productivity, and protect the environment. Through its nearly 3,500 employees, FLIR’s vision is to be “The World’s Sixth Sense” by leveraging thermal imaging and adjacent technologies to provide innovative, intelligent solutions for security and surveillance, environmental and condition monitoring, outdoor recreation, machine vision, navigation, and advanced threat detection. We have deep professional roots in the shipping industry, with decades of hands-on experience on the ship owner’s team. We have expertise in advising and protecting the interests of our clients with effective advice and legal problem-solving skills. We are able to bring these tools to bear in multiple countries, jurisdictions, courts and tribunals. Our lawyers have many years of specialized training, including advanced degrees and certifications in maritime law from leading admiralty and maritime programs at respected law schools. Our law firm has international range. We are able to serve clients in the premier shipping nations of the world and in all jurisdictions within the United States. is dedicated to providing Anti-Piracy Equipment and Marine Operating Device for ship owners with high-quality professional service.With strong technical team, GOLDBAY MARINETECH has highly qualified and experienced oceangoing captains and chief engineers who offer professional marine technology for the product based on ships actual needs. In the year 2008, our first anti-piracy fence was developed and sold world wild. The fence was designed confirming to the IMB recommendation to deter pirates by physical barriers. It had been installed for the fleet of COSCO, MIDEAST, TMS, EURONAV, OLDENDORFF, MING WAH HK, ANGLO, etc., providing safety assurance for their navigation. In the year 2018, the upgrade one was ready based on our clients’ feedback during 10 years usage and has been promoted to market successfully. Till now, the anti-piracy fence has been equipped for more than 1,000 vessels. They can be delivered on board directly during China ports with our one-step service, also can be dispatched to other ports all over the world as request. GOLDBAY MARINETECH will be continually innovating new products to meet marine market requirement. Gray Page is a specialist advisory and consulting group that solves problems around the world for companies and organisations in shipping, insurance and international trade. Often working in sensitive, complex circumstances, we assist our clients by investigating cargo theft, losses, damage, fraud and piracy; locating assets, vessels and witnesses. We also help clients prepare for, respond to and recover from crisis events. Gray Page has also been hardening ships against security threats like piracy for many years. Following two years of research and development, Gray Page has recently launched the DFENCE vessel perimeter protection system. The DFENCE anti-piracy barrier is designed to prevent unlawful over-the-side access to ships, oil rigs and other marine installations. The DFENCE barrier system is safe to handle and easy to fit, making it a practical alternative to razor wire. 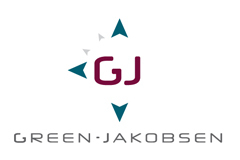 Green-Jakobsen was founded in 2001 and our focus has always been on the improvement of human performance within the maritime segment. We are a group of people with maritime and academic backgrounds, counting some 40 employees in total. Over the years we have rolled out a vast number of development programmes, facilitated improved human performance, and trained thousands of seafarers and office staff world-wide. We have offices in Copenhagen, Manila, Athens and Mumbai. The Hellenic Mutual War Risks Club is run by, for, and in the interests of its Members, providing superior cover for ships of virtually any type or size operating under the Hellenic flag. As a mutual club, we have a clear mission: “We combine flexibility with tradition and the highest levels of service to provide Members of the Greek shipping community with specialist, mutual war risks insurance that is second to none.” We are proud of our heritage, but we never stand still. We are flexible in adapting to the changing risks facing our Members and the changing profile of the Hellenic shipping community. From initial enquiry, to day-to-day operating queries and in the event of support, we provide skilled technical assistance based on real experience. Inmarsat sets the standard in maritime communications with the world’s most advanced commercial global mobile satellite network. With a rich heritage spanning more than 39 years, Inmarsat enables the maritime industry to stay connected with its highly-reliable broadband satellite network and its range of leading voice and data services. Driving innovation in communications, Inmarsat is continually investing in new technology to improve life at sea and build maritime communities. When it matters most, thousands of vessels depend on Inmarsat to for global onboard connectivity, and demonstrable value and peace of mind for captains, crew and passengers alike. International Registries, Inc. and its affiliates (IRI) provide administrative and technical support to the Republic of the Marshall Islands (RMI) Maritime and Corporate Registries. The RMI Registry is the third largest registry in the world, surpassing 134 million gross tons and 3,885 registered vessels at the end of July 2016. IRI has a network of 27 worldwide offices that have the ability to register a vessel or yacht, including those under construction, record a mortgage or financing charter, incorporate a company, issue seafarer documentation, and service clientele. The quality of the RMI fleet can be measured by the RMI’s continued White List status on both the Paris and Tokyo Memorandums of Understanding (MoUs). The RMI also meets the flag criteria for a low risk ship under the Paris MoU’s New Inspection Regime, and has qualified for the United States Coast Guard’s Qualship 21 roster for 12 consecutive years, which is unprecedented. The most important asset to the Registry is its customers and IRI strives to provide them with full service from any office, 24 hours a day. To learn more, visit www.register-iri.com. Minerva Marine Inc. was established in 1996 by Andreas J. Martinos and to this day remains a private and independent company. Minerva quickly grew from a tanker manager of 6 vessels to the committed Aframax operational leader that it is today. Minerva has further expanded its operations to include, from MRs to VLCCs (Chemical Product and crude oil carriers) in the tanker segment, and Capesize in the bulker segment. Today, Minerva has established business with all major oil companies, while it has grown into a valued ice partner for most of the Baltic charterers. The company continues to engage in new business partnerships, having the customers’ ever-changing needs always at the forefront. RINA Academy Philippines, Inc. (formerly Italian Maritime Academy Phils., Inc.) was established in 2007 under the auspices of the Association of the Italian Ship-owners, CONFITARMA and the Italian classification Society, RINA, in response to a need of the maritime industry for available, licensed, skilled and competent officers and ratings prepared to man ships to the best interests of ship owners, charterers, ship managers and ship operators. RINA ACADEMY PHILIPPINES INC. is an in-house training centre which assists shipping companies in the area of assessment and training for both pre-boarding and post boarding personnel with the objective of providing personnel with proven skills and competency for the ranks and tasks required of vessels trading worldwide. RINA ACADEMY PHILIPPINES INC. is accredited for ISO 9001:2015 Standard by TUV Rheinland. The academy maintains its standard and achieves customer satisfaction via assessment and training. The academy received the 2017 Training Award from the Safety4Sea Conference and Awards for continuously providing maritime services in compliance with the customer satisfaction, statutory and regulatory requirement and other applicable national and international standards thru the Competency Management System (CMS) as certified by ClassNK. RINA ACADEMY PHILIPPINES INC. and all its employees are committed to promote continual improvement of the Quality Management System and its services through performance excellence and satisfaction of the requirements of our customer, interested parties, national and international regulations and other applicable regulatory and statutory requirements..
Steamship Mutual’s aim is to provide a comprehensive high quality P&I service backed by sound underwriting and strong reserves. The Managers are determined to ensure that these objectives continue to be met. Steamship Mutual is one of the largest and most diverse P&I Clubs in the world, and a member of the International Group of P&I Clubs participating in the International Group Pool. Our Members remain the centre of our business and we strive to offer them the best advice and support wherever they are around the world. 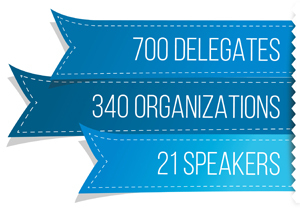 We firmly believe the service we provide our Members will help define our future success. T&T SALVAGE, a member company of the Teichman Group, is committed to serving the emergency response needs of its clients under the highest standards of safety and quality. The Teichman Group since 1957 has grown to become a leading service provider to the international maritime and offshore petroleum industries. T&T SALVAGE, www.ttsalvage.com, Global response services are supported by salvage stations in Singapore, Rotterdam, Hamburg and South America. The Group owns and maintain a comprehensive inventory of salvage, firefighting systems, ship-to-ship (STS) lightering systems, anti-pollution systems, three-dimensional sonar, ROVs, and advanced diving systems all packaged so it can be rapidly transported by air, land or sea. The portable assets are complemented by floating heavy lift and salvage support vessels ready to meet both routine and emergency response challenges. In addition, the Group includes an in-house design and fabrication department available on a 24 hour basis to support any urgent in-situ needs a field salvage team may have during an operation. 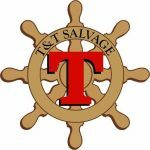 T&T SALVAGE is a Member of the American Salvage Association (ASA), the International Salvage Union (ISU), the North American Environmental Protection Association (NAMEPA) and the Association of Diving Contractors International (ADCI). For Captain Panagiotis Tsakos, the founder of the Group, going to sea was a natural course, a matter of destiny. Following a generations’ long tradition in shipping, he advanced through the ranks of deck officer until he became a shipmaster and eventually a shipping executive. It was equally natural for him to lead a small group of investors on to the acquisition of his first ship. Joined by his brother and friends and prompted by his life time companion and wife Dr Irene Saroglou-Tsakos, he led that little company to its current size and diversity. With the active encouragement and support of colleagues and the active involvement of his children Nikolas and Maria, the company was fast expanded sustaining a steady growth through the troughs highs and lows, of the industry . As the maritime transportation industry was developing into the modern age, the Group gradually adjusting to technologies of the most advanced kind lead the way into the 21st century by broadly expanding its investment base with the addition of thousands of institutional and individual investors through the listing of one of its affiliated Companies, Tsakos Energy Navigation Ltd, at the world’s leading stock exchange in New York and thereby embarking upon a massive newbuilding program. The Standard Club is a mutual insurance association and member of the International Group of P&I clubs, owned by its shipowner members and controlled by a board of directors drawn from the membership. The club has been insuring shipowners, operators and charterers for their liabilities to third parties for over 100 years and insures about 10% of the world fleet. The Standard Club prides itself on quality of service to members, and sets great store in responsiveness and support at all times, especially in times of crisis. Claims are managed from one of our 6 international offices, and our global reach is expanded by our correspondent network. We also put an emphasis on financial strength and stability, which has resulted in an S&P A rating and no unbudgeted supplementary calls for over 20 years. The Loss Prevention department works to minimise losses through ship surveys, member risk reviews and a programme of educational events and publications. The loss prevention team is continuously developing its tools and training its personnel to enable it to provide expert technical and loss prevention advice to members round the clock. The UK P&I Club is one of the oldest P&I clubs in the world. It provides Protection and Indemnity insurance in respect of third party liabilities and expenses arising from owning ships or operating ships as principals. One of the largest mutual marine protection and indemnity organisations it insures over 200 million tonnes of owned and chartered ships from more than fifty countries across the globe. At UnitedHealthcare Global, wherever your people go, we are there with them. Our single source, global solutions help optimize outcomes for your business by ensuring your people are better prepared, better cared for and better able to do the work they need to do, wherever they are in the world. VENLYS Maritime Specialisation Services is the Greek leading company for safety culture/climate mapping and assessment, safety benchmarking and enhancement tools, resilience analysis and proposals, human element performance studies and training (behavior competencies – Soft Skills), and strategic crisis and reputation management. VENLYS specialises in assessing human factor parameters and behaviors and studying its performance records and drafting effective solutions for safe and efficient working environment(s). VENLYS Maritime is also a strategic partner of the London-based Navigate Response, a major crisis communications and media services network for the international shipping, ports and offshore industries. The VENLYS team is introducing innovative ways and tools to ensure safety in the maritime domain; shifting the definition and practical application of safety from ‘as few things as possible go wrong’ (SAFETY-I) to the visionary safety perspective of ‘as many things as possible go right’ (SAFETY-II) is our way of dealing with marine and occupational safety, is our way of problem-solving. Providing, supporting and enhancing safety in the maritime domain has always been one of the greatest challenges for ship operators; let’s take care of these matters in a modern and proactive manner! ARIES MARINE INSURANCE BROKERS LTD.
GOLDEN UNION SHIPPING CO S.A.
MEADWAY SHIPPING AND TRADING INC.
PHOENIX SHIPPING & TRADING S.A. The event was organized by SAFETY4SEA having as lead sponsors the following organizations: ABS, Bureau Veritas, MacGregor, SQE MARINE & UMAR WSR. The event was also sponsored by: American P&I Club, Arcadia Shipmanagement Co Ltd, Blue Planet Shipping Ltd, Britannia P&I Club, Capital Shipmanagement, Consolidated Marine Management, DNV GL, Dorian LPG, ERMA FIRST, FLIR Systems, Inc., GAITAS, KENNEDY & CHALOS PC, GOLDBAY MARINETECH CO. LTD, Gray Page Ltd, Green Jakobsen, Hellenic Mutual War Risks Association, Inmarsat, Marshall Islands Registry, MINERVA Marine, North P&I Club, Orpheus Marine Transport Corporation, RINA ACADEMY PHILIPPINES INC, Steamship Mutual, T&T SALVAGE, Tsakos Group, The Standard Club, UK P&I Club, UnitedHealthcare Global and VENLYS Maritime Specialisation Services. Discussions on how the industry can change mindset and embrace Safety II concept to focus on people rather than on systems took place at this year’s event. Namely, the last two panels centred around safety aspects describing why until today shipping has adopted Safety I concept, with panellists suggesting ways to move forward. As explained, there is need for moving from what goes wrong to what goes right, highlighting that safety management should not only be reactive, but proactive as well. Delegates at the 2018 SAFETY4SEA Conference also heard about challenges ahead for sustainable shipping, lessons learned from maritime accidents and ways to minimize risks while the focus was once again shed to human element and on ways to improve crew welfare and enhance human performance. Panel discussions and open feedback with delegates revealed key takeaways on both enhancing safety at sea and ashore and embracing technology to maximise efficiency and improve seafarers’ training while also attract the next generation to maritime industry. Opening the first panel of the conference, Mrs. Carleen Lyden Walker, Executive Director, NAMEPA, emphasized on sustainability as an opportunity of change for the shipping industry. Never before the recorded history had so much change and disruption occurring at such an accelerated pace, she argued, providing several examples of how many changes the industry has seen over the recent years. Mr. Jan Fransen, Managing Director of the Green Award Foundation, provided a list of current sustainability challenges the shipping industry has to deal with. He further talked about how ready the industry is to convert challenges to opportunities and adopt a strategy in line with the UN Sustainable Development Goals, highlighting that collective action is imperative toward that end. Mr. Peter Broadhurst, Senior Vice President, Maritime Safety & Security Services, Inmarsat, focused on the importance of satellite communications for shipping safety and steps toward GMDSS modernization. On average, he informed, Inmarsat receives 6 distress alerts per day through its Fleet Safety system. In completion of first panel, Mrs. Carleen Lyden Walker, on behalf of NAMEPA and along with Mrs. Cynthia Hudson, Hudson Analytics and NAMEPA Board Director, granted an award to SAFETY4SEA for all initiatives taken so far in favour of sustainable shipping. Mr. George Dimopoulos, Principal Specialist, DNV GL, talked about the bow tie methodology. As explained, this method, which has already wide application in ONG, highlights the direct link between barriers, controls and elements of the management system. Although it is a novel approach for shipping, it has many potential benefits, yet requiring a broad industry uptake, he noted. Dr. William Moore, Global Loss Prevention Director at the American P&I Club, discussed crew injury as a major aspect of human error: Slips, trips and falls are the most frequent cause of injury to seafarers, he noted, arguing that this issue does not receive attention it deserves. Citing what the industry can do about it, he informed of the Club’s joint initiative with ABS and Lamar University which focuses on such incidents. Mr. Thrasos Tsangarides, Group CEO, UMAR WSR, discussed hazards and risks related to drydocking. Drydocks and ship repair facilities, he noted, are hazardous work places and common focal points for accidents in maritime, with the most common dry dock incident being fires, but also falling loads, trips and falls, starting machines accidentally, burn injuries, shocks, floods, crane and equipment collapses and failures. Mr. Apostolos Belokas, Managing Editor, SAFETY4SEA, emphasized on benchmarking as a tool to minimize risk, providing statistics from the RISK4SEA Project. Benchmarks may be used successfully to identify gaps between ports, ships, companies, countries, with special emphasis what to do to prepare to minimize future risks, he noted. Capt. Hans Hederström, Managing Director of CSMART, Center for Simulator Maritime Training, cited steps to create safety environment in shipping. Among the most important things, he stressed, is the Captain to be a leader and not operator, willing to delegate and coach officers. Combining voyage planning and Bridge Resource Management, as well as effective communication for timely intervention, are also vital, he added. Mr. Erik Green, Managing Director, Green-Jakobsen A/S, discussed the importance of involving the entire organisation when companies want to improve people’s performance. The focus, he noted, should be on work processes, integration and HR management. Meanwhile, he added, companies must look for creating the possibilities for new and different learning process and various departments should contribute to that process including HR, Crewing, Training, HSQE, Technical, etc. Capt. Nicolo S. Terrei, Managing Director, RINA Academy Philippines, Inc. analyzed the Competence Management System, a systematic method of education and training designed to minimize any gap between the competence level required by a company and the level of each individual seafarer on board. This system, he explained, will provide seafarers a more specific and objective assessment of their strengths and specify targeted areas for development. Mr. Phil Sharples, Global Senior Medical Director, UnitedHealthcare Global Medical, discussed how mainstream healthcare is embracing technology to deliver higher quality medical care and how some of these initiatives could apply to the maritime industry. These initiatives include the utilization of low bandwidth video consultations to improve accessibility of medical care onboard, as well as electronic medical records systems to secure seafarer heath data. Mr. Elias Psyllos, VP Commercial and Risk Management, T&T Salvage shared lessons learned with respect to salvage incidents, stressing the importance of the appointment of a protective agent, liaising daily with the local authorities and issuing a proper refloating plan. 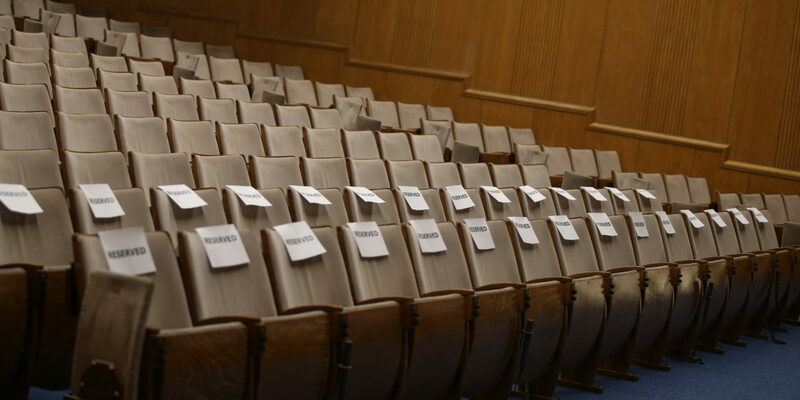 The protection of the marine environment by notifying OSRO is equally important, he added. Mr. Rod Lingard, Club Manager of the Hellenic Mutual War Risks Association (Bermuda) Limited, discussed ship detentions caused by smuggling. He particularly referred to a recent English Supreme Court decision, the insurance implications of the decision, as well as Loss Prevention measures to be taken to prevent ships being targeted. Mr. George A. Gaitas, Managing Partner, Gaϊtas, Kennedy & Chalos, P.C spoke at conference delegates about what traders in the United States may encounter with respect to the ODME bypass criminal prosecutions. Mr. Gaitas predicts that it is likely to be a significant change in the enforcement of MARPOL Annex I regulations in US and talked about related challenges. Dr. John Kokarakis, Technical Director, Bureau Veritas, Hellenic & Black Sea Zone analyzed how critical is the investigation of marine accidents, not only for accountability and security awareness, but also live-saving. Although human error is mostly blamed, he argued, accidents are probably caused by more than one factor and for this reason, it is important to transfer knowledge from other disciplines. 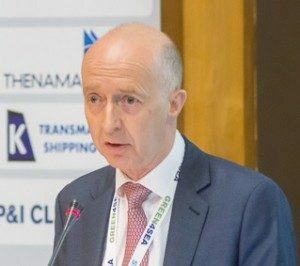 Mr. Chris Adams, Director, Head of European Syndicate and Loss Prevention, Steamship Mutual, analyzed marine casualties from the insurers’ perspective. Providing a brief overview of large accidents through 2017 and 2018 so far, he informed that the largest claims typically arise from collisions, groundings, and damage to fixed and floating objects. Mr. Stamatis Fradelos, Director, Business Development, ABS, highlighted key technical safety issues related to the installation of Ballast Water Treatment Systems. His presentation provided an overview of the BWT Technologies and corresponding physical separation and different disinfection solutions that are currently available in the marine market. Mr. Neale Rodrigues, Divisional Director, Britannia P&I Club, emphasized on safety culture in shipping: Analyzing the two models of safety, from the current Safety I referring to a reactive response to dangers, to the Safety II, promoting a proactive response to risk, he cited the requirements for an effective safety management in the shipping workplace. Mrs. Katerina Skourtanioti, Managing Director, VENLYS Maritime Specialisation Services, discussed human performance under the scheme of continuous changes in the maritime industry. Shipping is continuously evolving, she noted, hence the role and the responsibilities of human onboard and ashore too. She further presented case studies proving that Human is the focal point of maritime industry: As such, she argues, personalisation will be the next step towards safety enhancement in the industry. Capt. Yves Vandenborn, Director of Loss Prevention, The Standard Club, talked about one specific aspect of human element in maritime casualties: Seafarers’ resilience, he noted, can be improved through enhanced training regimes focused on realism, emphasis on experience, as well as changes to how an organisation functions. All sessions ended with a round table discussion and exchange with the audience. Finally Apostolos Belokas as the Forum Chairman thanked the delegates for their participation, the sponsors for their support and the speakers for their excellent presentations and also the organizing team of the event for their contribution towards forum objectives. I liked the variety of speakers and their varied presentations plus the fact that SAFETY4SEA events remain free to attend as a delegate. Got updated information on the developments related to the topics discussed including valuable opinions on setting priorities for the future. Mr. Belokas and his team always inspire shipping community with very fresh ideas, solutions and progressive actions. Some interesting topics were discussed, along with the Q&As. The speakers were very objective, they didn’t promote their company excessively. Very interesting event specially concerning the technical part and the assessment on upcoming challenges to the shipping industry. There were some new points of view in respect of safety; especially some which are often not into the focus of the owners & crew managers.